It often happens that the path of the utility to be constructed passes under a main road with heavy traffic or a railway. In these cases, the application of pipe jacking technology, compatible with reinforced concrete, steel, GRP or clay pipes is recommended. Of course, alternative options shall also be examined, as for example the horizontal directional drilling technology. The main benefit of the high-precision (pilot bore) pipe jacking technology is its precision: up to a distance of 150 m, tolerances stay within a few centimeters. 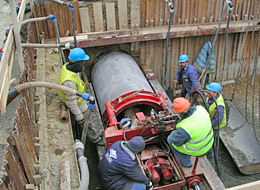 The principle of the pilot bore control system is as follows: a guiding bore, “pilot bore” is drilled in the axis of the pipe jacking path before the actual drilling/pipe jacking works, and using this bore, by the help of a specially designed cutting edge, we “guide” the jacking pipes through the whole jacked drive. 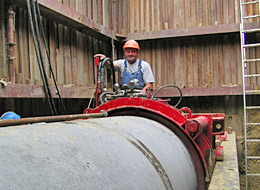 The pilot pipe chain is controlled by a video camera mounted on a theodolite installed in the launch shaft. 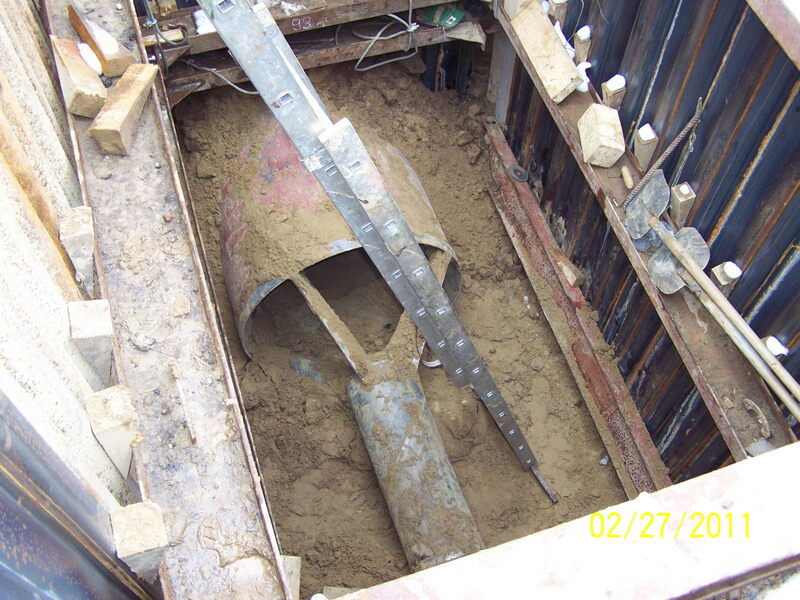 The internal sections of the connected pilot pipes are empty, so a target plate made of diodes, installed in the front section, right after the wedge-shaped drilling head, is clearly visible from the shaft. The pilot pipe chain, equipped with the drilling head and the target plate with diodes, is jacked into the soil by a slow rotating movement. In case of directional deviation, the drilling head is stopped in an appropriate position, and the pipe chain is pushed forward without rotational movement in order to restore the desired direction. After that, the pipe chain is pushed again with rotating movement. 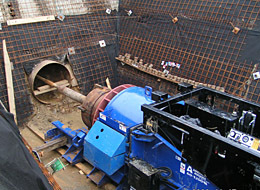 Pilot bore control system is primordially recommended in highly compressible soils. 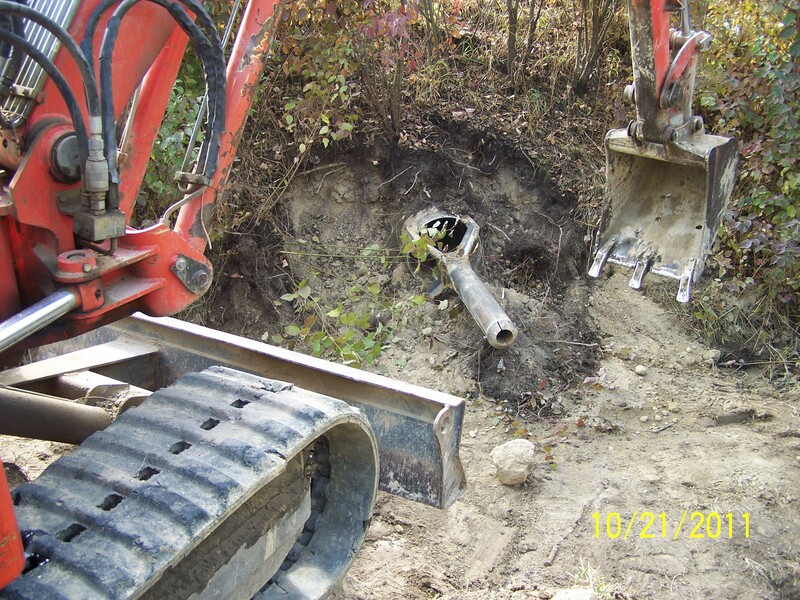 In hardly compressible soils, or soil with high internal friction (dry, hard clay, sand, fine gravel), the method can be applied with high-pressure drilling/lubricating slurry injected into the drilling head. This high-pressure drilling/lubricating slurry, injected from the drilling head, helps to cut the hardly compressible soils, and in case of soils with high internal friction, it will significantly decrease the frictional forces acting on the outer surface of the pilot pipe chain. In case of cobbles or compact rocks, this method cannot be applied. According to the international practice (which is supported by our nearly 100 m of drilling/pipe jacking experiences), up to a distance of 100-120 m, ±3-5 cm of tolerance can be expected in the pipeline. The field of view in the pilot pipes is 30-50 mm, and this value will define the possible precision. The pilot pipe chain guides the jacking pipes by the help of a specially designed cutting edge. Depending on the outer diameter of the steel or reinforced concrete jacking pipes and of the soil layers, pilot pipe drilling/jacking can reach the desired outer diameter in multiple steps. In these cases, retrievable intermediate pilot pipes are used for the intermediate diameters. 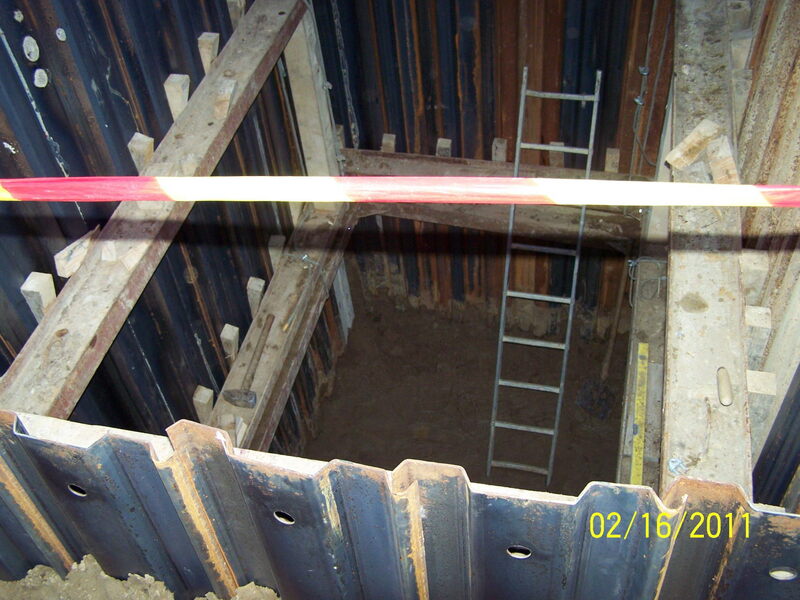 Up to an outer pipe diameter of 400-500 mm, pilot pipe jacking can be applied 1-2 m below groundwater level by using a complementary jacking chamber, mainly in sandy soils. 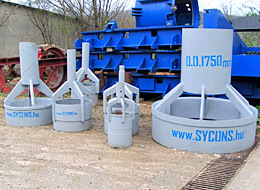 Sycons Kft. 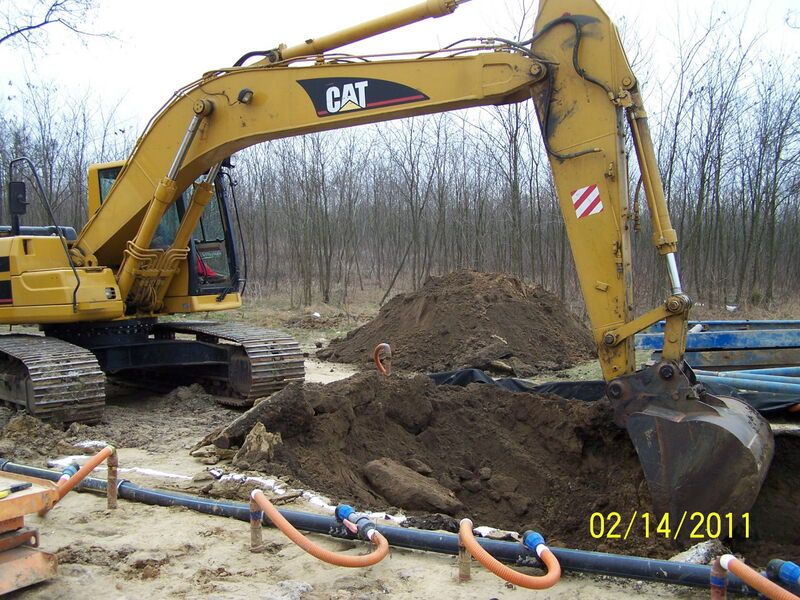 has been executing pipe jacking projects in Hungary for more than 20 years now, thus, we have the necessary experiences regarding the soil types present in Hungary.